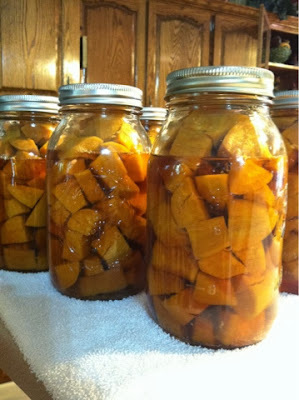 You may not be aware, but canning sweet potatoes is a very easy process. It is a bit time consuming in the fact that it takes 90 minutes (for quarts) to pressure in your pressure canner. 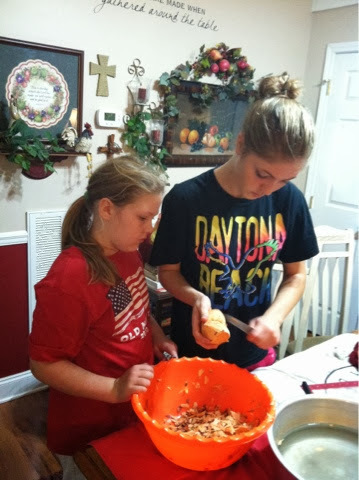 Other than that, getting them ready for canning is very easy. First, take your sweet potato and peel. 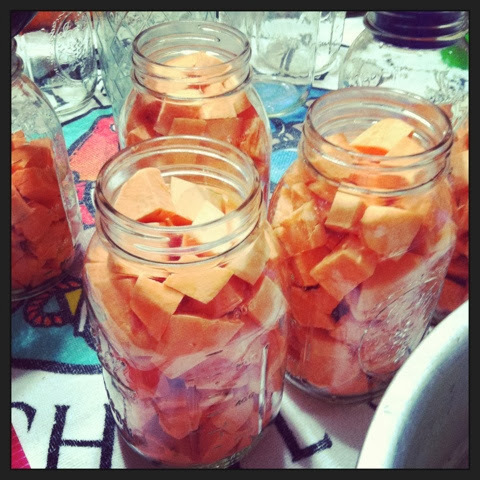 You can blanch these if you prefer or you can just peel them. 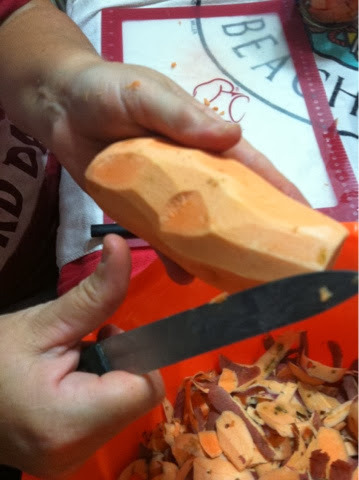 My Mom is peeling these in this picture and I think it may just be easier to peel. Once you peel the sweets, cut them up in cubes. 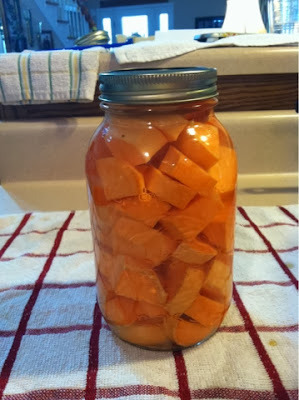 Fill your jar and then fill with hot water and place your lid and band on top. I love seeing my girls getting in on the work. It is a blessing to see them take interest! 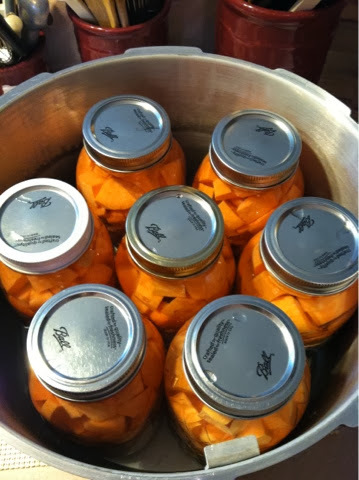 Once you bring your canner up to pressure, you will pressure 90 minutes for quarts and 60 minutes for pints. What a beautiful sight to behold. Wonderful bounty to line your canning pantry shelves.